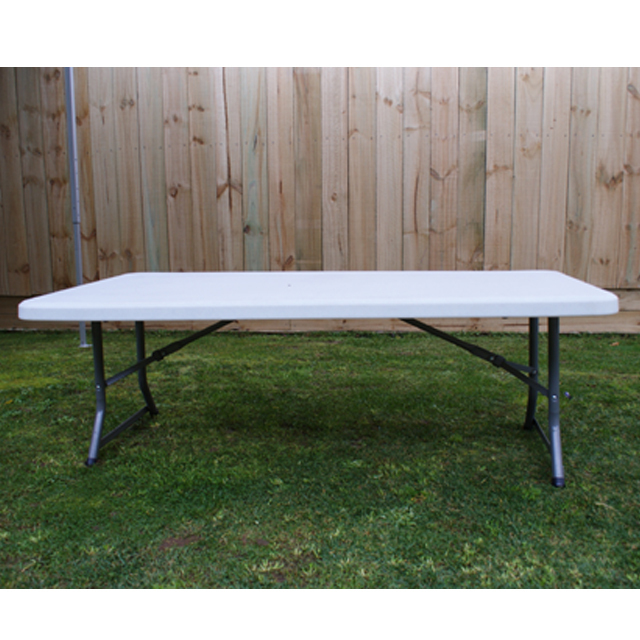 Our white tables with metal legs are lightweight catering tables. They weigh in at under 10kg and are incredibly safe, strong and clean. They are wide enough to fit the plates down either side and present the food down the middle. They look best with one of our beautiful oilcloth table covers. All of our chairs will suit this table height and style. 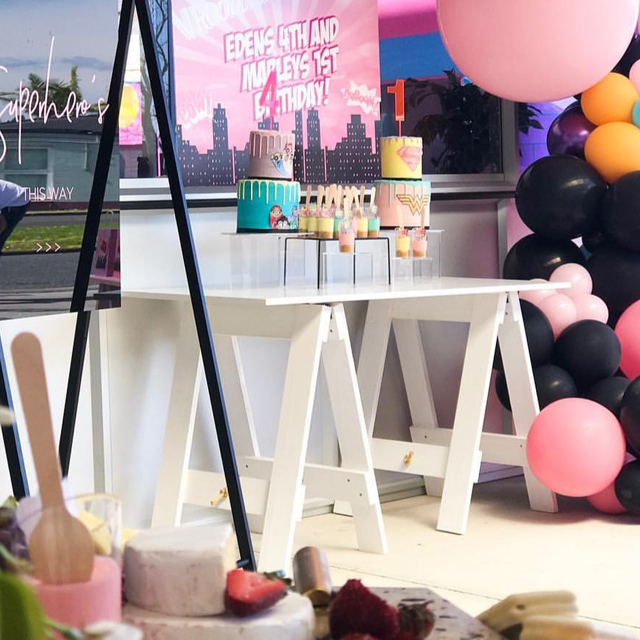 Our cake tables with white legs and a white top are perfect for holding all those yummy birthday treats. The trestle legs are removable and fold down making these tables very easy to transport. They have gorgeous white tops which are best without a table cloth for a simply stylish look. 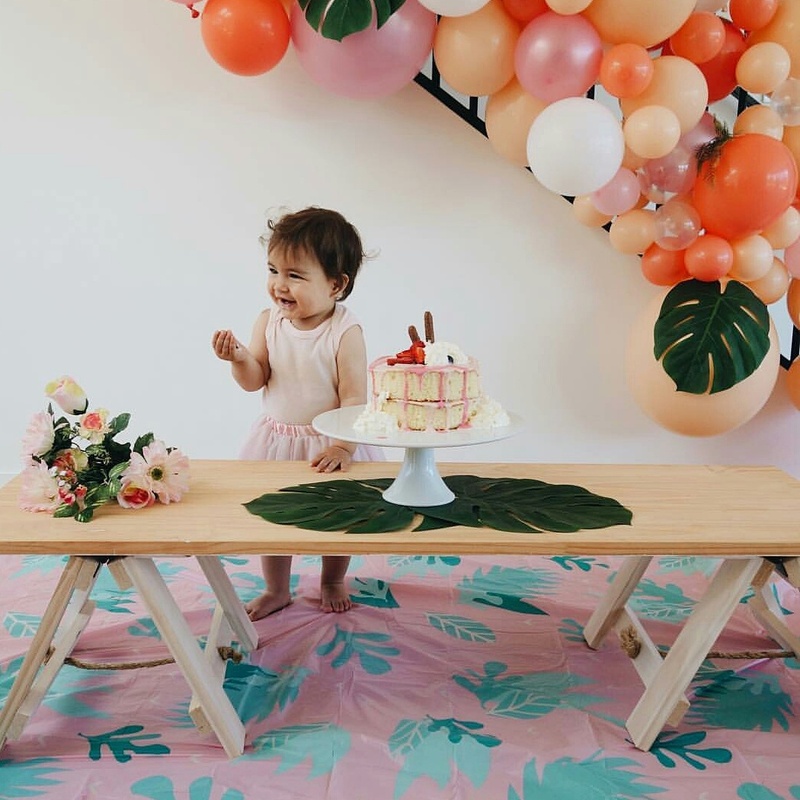 Our wooden trendy trestle tables are the perfect size to suit our children sized chairs. The trestle legs are removable and fold down making these tables very easy to transport. They have gorgeous natural wood, white or black tops which are best without a table cloth for a simply stylish look. 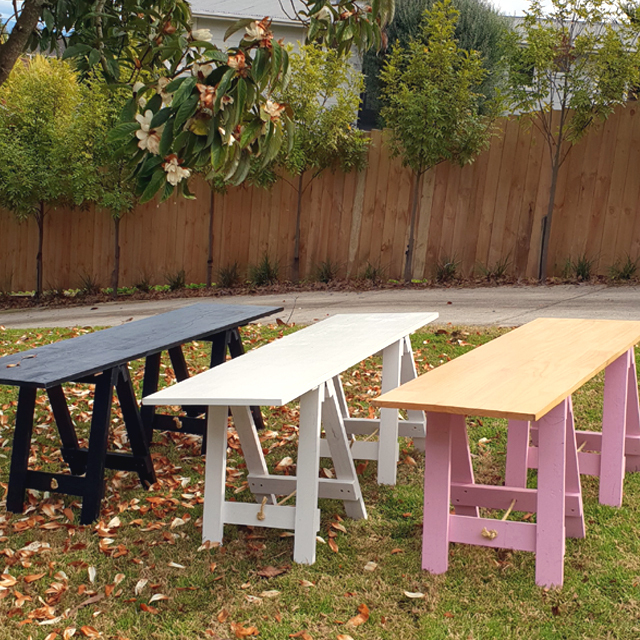 White, Black or Pink Legs with your choice of White, Black or Natural Wood Table Tops. 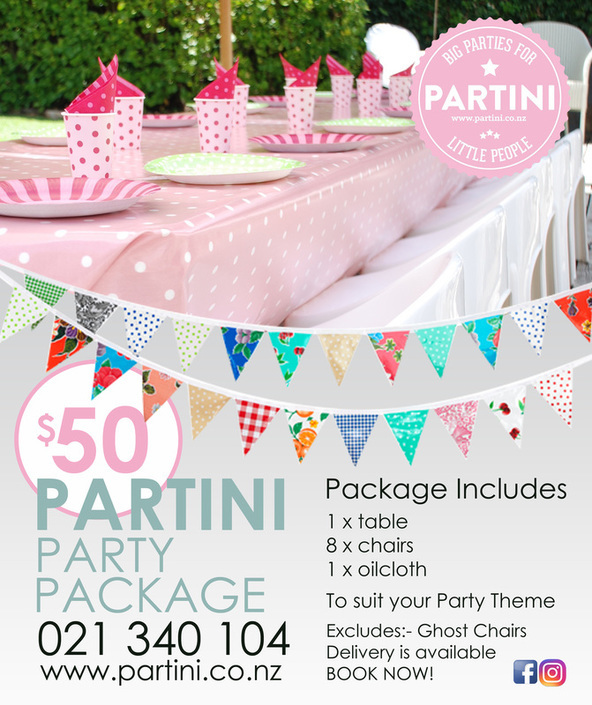 Mix and match to suit your party theme. 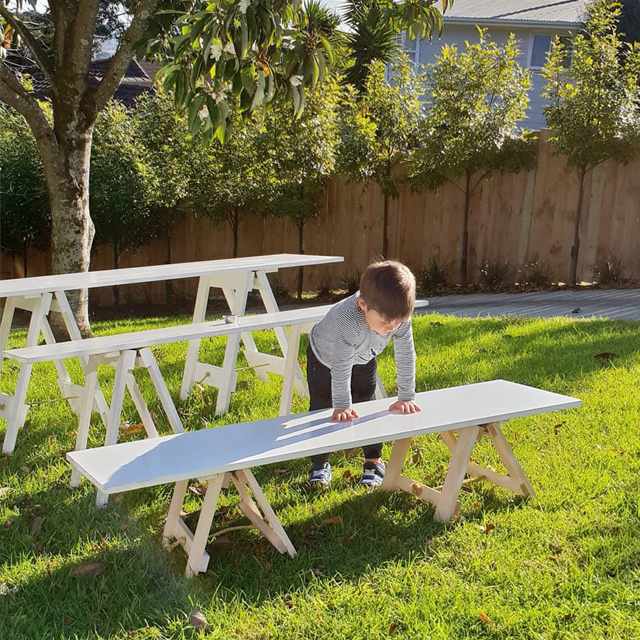 Our trendy trestle picnic tables with white washed legs are perfect for a picnic with floor cushions or on the grass for a garden party. They have also been very popular as the ‘cake smash’ table for 1st birthday parties! The trestle legs are removable and fold down making these tables very easy to transport. They have gorgeous wooden tops which are best without a table cloth for a simply stylish look.